It’s now three years since I first started writing the Primal Plate food blog with the intention of sharing recipes that would fill in the perceived food ‘gaps’ when you eat low-carb. I also wanted to help steer the Primal community and others away from the insane demand for more meat, which causes unbearable suffering to millions of farm animals, and towards a more compassionate, vegetarian lifestyle. I’ve created numerous grain and sugar-free alternatives to conventional recipes for bread, biscuits, cake, pizza, pasta, ice cream and one of my latest triumphs…sugar-free meringues for goodness sake! But I’m not done yet. Whilst low-carb, like-for-like potato chips and pizza still elude me, today’s recipe for Flaxseed, Sesame & Rosemary Crispy Thins does add another surprisingly good string to Primal Plate’s bow. 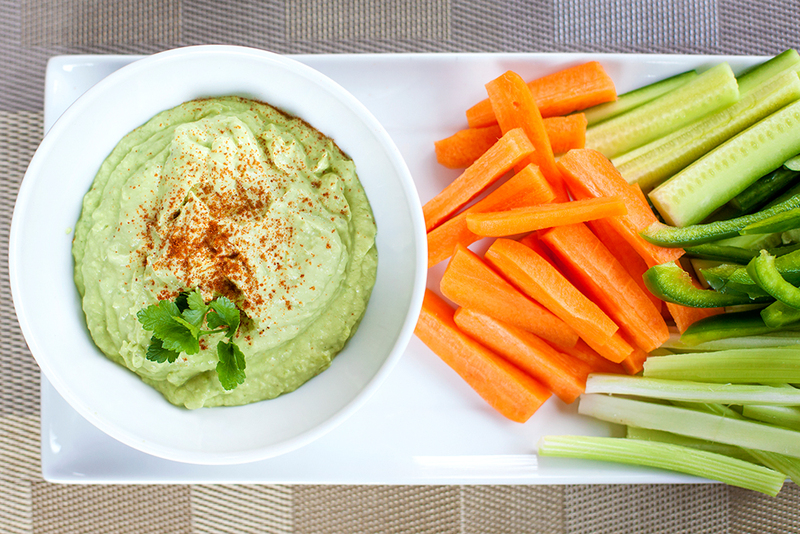 Finally, here is an irresistible substitute for savoury crispbread, crackers, crisps or tortilla chips to serve with cheese, dips or simply to snack on them plain for pre-dinner nibbles. With the crispy, salt-seasoned delicacy of a potato crisp and the nuttiness of wafer-thin artisan crisp bread, these ‘all-rounders’ are what we’ve been missing in our lives since going low-carb and Primal. As Sarah exclaimed when she first tried them: “Well, that’s all our parties now sorted!”. 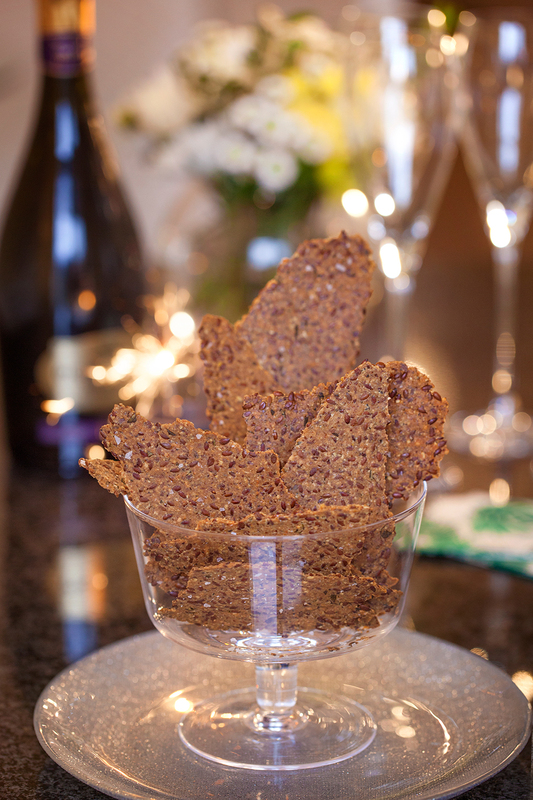 I originally baked these Flaxseed, Sesame & Rosemary Crispy Thins in a fit of pique because we’d been forced to eat a plate of cheese without any accompaniments at an expensive, highfalutin, Nottingham restaurant that couldn’t - or wouldn’t - volunteer a low-carb alternative to bread or crackers. What is it with restauranteurs and chefs that send out cheese with no biscuits whilst charging a hefty subsidy because you didn’t choose dessert? A plate of good cheese without ‘extras’ is a sorrowful affair. This, after forewarning the chef in writing of our specific dietary requirements, weeks in advance of our booking. And since we were approaching the end of our meal, there was no wine left in our glasses either! Wading through a plate of cheese without biscuits and/or wine is enough to drive you crackers. Hence these Flaxseed Sesame & Rosemary Crispy Thins are my way of making good the “Cheese please” ordering anomaly that seems to exist in the catering industry when you don’t eat grains or sugar. Head chefs take note: You could easily have your commis chef knock these up in no time at all. Inspired by Hugh Fearnley-Whittingstall’s recipe for Linseed & Rosemary Crackers, it has to be said, I think my Flaxseed, Sesame & Rosemary Crispy Thins are better than Hugh’s! I’ve omitted the grains, added sesame flour, extra herbs and seasoning for more flavour and used cold-pressed macadamia nut oil instead of water to bind the mixture together. You could use olive or coconut oil instead. Anyway, the addition of oil means the cooked crackers won’t stick to the baking parchment, which Hugh’s tend to do. And, you get more nutritional bang for your bucks. Flaxseeds are high in fibre, low in carbs and a primary source of omega-3 essential fatty acids. Omega-3 fatty acids help decrease inflammation, which is a trigger for heart disease, diabetes, cancer, and arthritis. Macadamia nut oil is a great addition not just for its buttery flavour but because it’s high in monounsaturated oil (boasts 10 times more MUFA’s than olive oil), it’s low in inflammatory omega-6 fats and it’s packed with nutrients like potassium, magnesium, calcium, selenium, vitamin E, niacin, and folic acid. Crackers and cheese is my new favourite thing because I do not subscribe to even a sniff of low-carb deprivation! 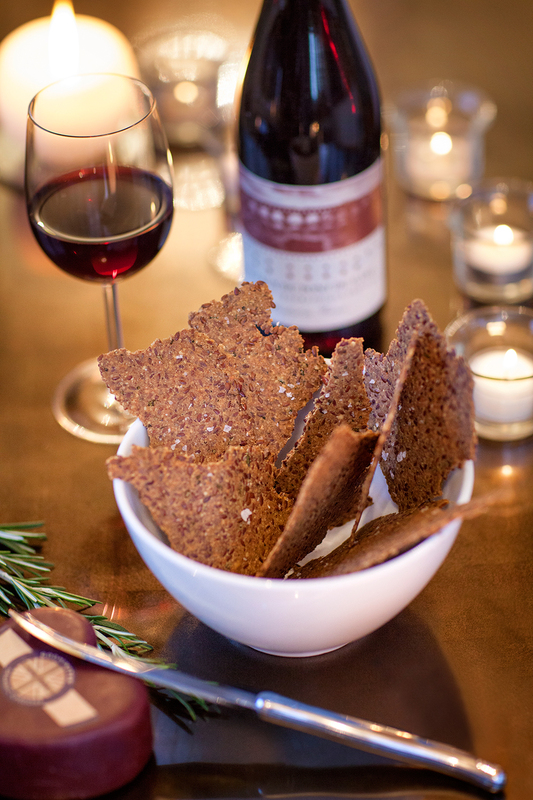 Totally delicious, Flaxseed, Sesame & Rosemary Crispy Thins are quick and easy to make. Just throw everything together in a bowl, divide the dough into two and roll out each half very thinly into a single large cracker - no faff or cutting-out required - then bake. When cooked and cooled, break into attractive looking shards of healthy goodness that you can munch your way through with cheese to your absolute heart’s content…quite literally! You just need to make sure that wherever possible it’s raw, organic and grass-fed. Aged, cheese (6 months or more), such as Cheddar and Parmesan-style, is a particularly healthful addition to a keto, vegetarian diet. The higher the fat content of cheese, the better. This is because lactose is mainly drained away in the cheese making process. Ditto whole-milk that’s fermented for at least 24 hours to make lactose-free yogurt and kefir. Low-fat, reduced fat, skimmed or heat-treated milk i.e. pasteurised and UHT (Ultra High Temperature) is not the same thing. When milk is heat treated, it destroys many of the nutrients such as vitamins and enzymes (essential for nutrient absorption) that make raw milk beneficial. Allergies and lactose intolerance is higher with pasteurised milk as well. For a supply of safe-to-drink, fresh, raw milk, I recommend you find an organic dairy that prides itself on being meticulously clean. I buy mine from Emma’s Dairy at Gazegill Organics. Remember, your body prefers fat to glucose as its energy source because fats burn much ‘cleaner’ - the oxidation of fats takes longer and at the same time gives off more energy. Sadly, people have been brainwashed into thinking that full-fat dairy is unhealthy because of its saturated fat content (64% in butter). Saturated fat, according to public health advisers still relying on pseudo science, raises blood cholesterol levels, particularly LDL cholesterol (otherwise known as “bad cholesterol”), which puts you at higher risk for heart disease. It’s not that simple, as an episode of BBC2’s programme ‘Trust Me, I’m A Doctor’ recently found out. Researchers at Cambridge University discovered that eating 50 grams of coconut oil (90% saturated fat) every day for 4 weeks did not raise LDL cholesterol levels (the “bad cholesterol” associated with heart disease) at all. It did raise HDL cholesterol levels by an impressive 14% and HDL is the good cholesterol that helps remove the bad cholesterol. Boom! After decades of medical hullabaloo surrounding saturated fat, it turns out that high-in-saturated fat coconut oil is more heart-protective than olive oil! What then to make of a new science advisory from the American Heart Association that recently recommended not ingesting coconut oil because it’s high in saturated fat? I say, ignore it! Perpetuating heart disease is in the AHA’s best interest because if heart disease ceased to exist they’d be out of a job. Meanwhile, real science is doing ground-breaking research that is finally forcing the medical establishment to accept that the key to reversing disease, such as type-2 diabetes, is simply an effective weight management programme. That’s bad news for the pharmaceutical and junk food industries but good news for the NHS and you - if you’ll take personal responsibility. It’s astonishing to me that as we witness the NHS collapsing under a burgeoning demand for healthcare by an ageing, chronically diseased society, the government opts to continue to subsidise the cost of ill-health rather than promote wellness through good nutrition. They could save millions! True, it would take the political will to oppose modern farming methods with its obsession for GMO’s and toxic agro-chemicals; help restore healthy soils, insects and wildlife by subsidising sustainable farming practices and completely overhaul UK’s dietary guidelines. For that reason, I don’t imagine food utopia happening any time soon. "The change in dietary advice to promote low fat foods is perhaps the biggest mistake in modern medical history. We must urgently change the message to the public to reverse obesity and type 2 diabetes. Eat fat to get slim, don't fear fat, fat is your friend." How much longer will you wait? Hopefully not until you inevitably find yourself one of the unfortunates being sent home by an overstretched NHS to sort out your own health issues. I heard that “It’s easier to change a man’s religion than his diet” but here I go again…to spare yourself the indignity and suffering of disease, start cutting the carbs now, eliminate sugar and when you’ve accomplished this, begin eating more healthy fat…much more. To that end, Flaxseed, Sesame & Rosemary Crispy Thins topped with lots of butter and cheese will play a most enjoyable part. Place the flaxseeds in a heatproof bowl and pour over the boiling water. Let stand for 10 minutes. Place the dry ingredients into a medium sized bowl. 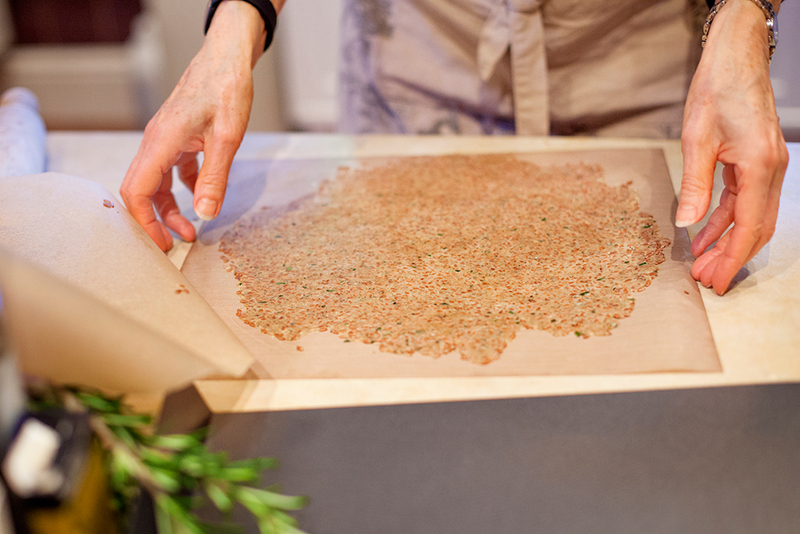 Take 2 sheets of baking parchment and generously brush one side of each with oil. Set aside - oiled side uppermost. Add the flaxseeds with their soaking water, the chopped rosemary and 1 tbsp of macadamia nut oil to the dry ingredients. Use a fork to mix everything together really well, then squash the mixture together with your hands into a ball of dough. Place half the cracker dough (about 130g) on top of the oiled side of one of the sheets of baking parchment - slap bang in the centre - then lay the other sheet of parchment paper, oiled side facing downwards, on top. 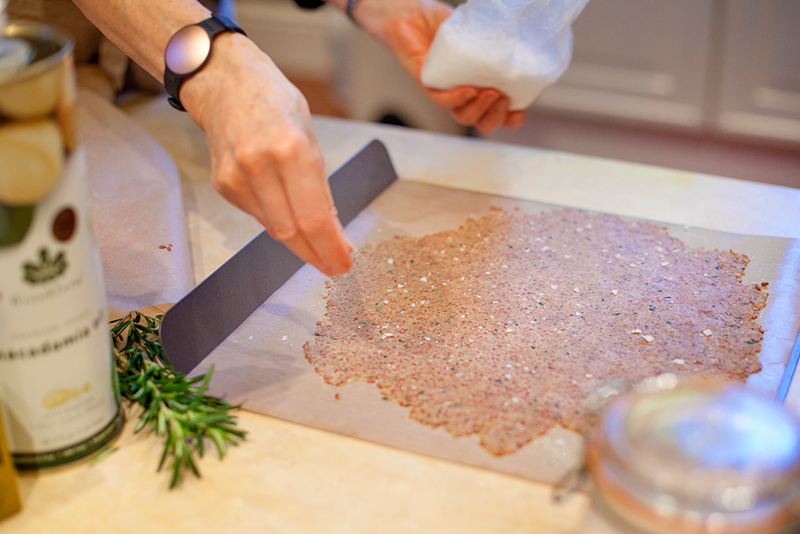 Roll the dough out very thinly between the 2 sheets of oiled baking parchment to make one large, thin, ragged-edged cracker that’s no more than 2-3mm thick. Lift off the top piece of parchment paper and transfer the bottom parchment paper with the dough still on it onto a baking sheet. Sprinkle with half the salt flakes. Bake on the middle rack of the oven for 25 to 30 minutes, checking occasionally, until completely dry and the outer edges are starting to curl up. Take out of the oven and leave to cool before removing the parchment paper. Repeat the rolling out process with the second piece of dough and bake as before. When the crackers are cool and crispy, carefully break them into largish pieces. Spread with a generous amount of butter and eat with cheese for the ultimate low-carb cheese and biscuit experience. Because ready-ground flaxseed (also known as linseed) does not have a long shelf life it’s best to grind your own whole flaxseeds in a coffee grinder immediately before use. If you don’t have a coffee mill, buy ready-ground flaxseed in small quantities and use within the best before date. Raw, organic macadamia nuts and macadamia nut oil are very expensive and not easy to source. Luckily, macadamias are low in pesticides even if conventionally grown. They’re hands-down my favourite nuts both for snacking and cooking. I love them most for their light, buttery taste, which makes cold-pressed macadamia oil perfect for drizzling and homemade mayonnaise because unlike olive and avocado oil, it doesn’t overpower. Macadamia nut oil is also highly shelf-stable and resistant to heat induced oxidation. This makes it safe for sautéing, frying and baking at higher temperatures because there’s no danger of free radicals and deadly trans fatty acids forming as they do with other cooking oils at high temperatures. High-fat, macadamia nuts have more omega-3 and less omega-6 fat than any other nuts, they lower LDL blood cholesterol and being exceptionally high in fat can help to make you thinner! I think they’re worth the expense but it you prefer, use organic olive oil or coconut oil for this recipe instead. A non-stick silicone sheet placed under the dough before rolling out is even better than oiled baking parchment because it stays perfectly flat during baking. I’ve rifled today’s recipe for Courgette Polpette (the Italian name for meatballs, which you pronounce pohl / PET / teh) from Hugh Fearnley Whittingstall’s River Cottage Baby and Toddler Cookbook. He in turn, adapted his recipe from the Italian cookery writer Ursula Ferrigno. Unabashed, Primal Plate has adjusted the recipe again to convert it into very tasty, grain-free, low-carb finger food for grown-ups and children alike. Sarah and I have trialled these on the run between venues at Mirror Imaging weddings over the past two weekends and, it’s official, we both think these vegetarian nuggets of goodness are picnic fare extraodinaire! Piled into individual lunch boxes alongside sweet, organic cherry tomatoes and cubes of feta cheese, with a bamboo stick to spear them directly into our hungry mouths, it is the most delicious and sustaining, no-mess, packed lunch I’ve ever eaten! Easy to make and really, really yummy, these little nibbles would also be great served-up as canapés or as a vegetarian main course served straight out of the oven with homemade tomato sauce. Alternatively, serve them hot, warm or cold with a fresh Tomato Salad and/or our Speedy Seedy No-Grain Soda Bread. In addition to being healthy and Paleo/Primal friendly, Courgette Polpette are a fantastic way to use up a glut of home-grown courgettes. In fact, if you don’t own an allotment, this is the time of year to make friends with someone who does! Demand for these moreish morsels could well outstrip the seemingly endless bounty of easy-to-grow courgettes that beleaguers most gardeners at the height of the growing season, which just happens to be now. In fact, I could happily eat Courgette Polpette ad infinitum for breakfast, lunch or supper. They will keep for several days in the refrigerator and as a stand-by treat for summertime get-togethers - and for busy wedding photographers - they’re an absolute winner. Line a large baking sheet with non-stick tin foil and then brush over the surface of the foil with a little olive oil or melted butter. Heat the oven to 200C / 390F/ Gas mark 6. Dice the courgettes and chop the shallots. Whilst you’re preparing the vegetables, lightly toast the pine nuts in a small dry frying pan over a low heat - keep your eye on them, they can quickly turn from golden to burnt! When they're lightly toasted, take the pan off the heat and set aside to cool. Heat 2 tablespoons of olive oil in a large frying pan over medium heat. Add the shallots and cook for 2-3 minutes until soft but not browned. Add the courgettes to the pan and continue to fry over a medium heat for a further 10-12 minutes until tender and golden. Drain on kitchen paper and set aside to cool. In a large bowl, combine the cooled courgette mixture with the rest of the ingredients, season well, then form into small balls the size of a walnut (you’ll need approximately 25g for each polpetta). Place on the baking sheet and bake for 15 minutes, until golden brown. The deliciously deep rosy colour of this Wild Smoked Salmon & Prawn Pâté with its soft texture and sweet flavours that hint of the sea, is food to fall in love with. 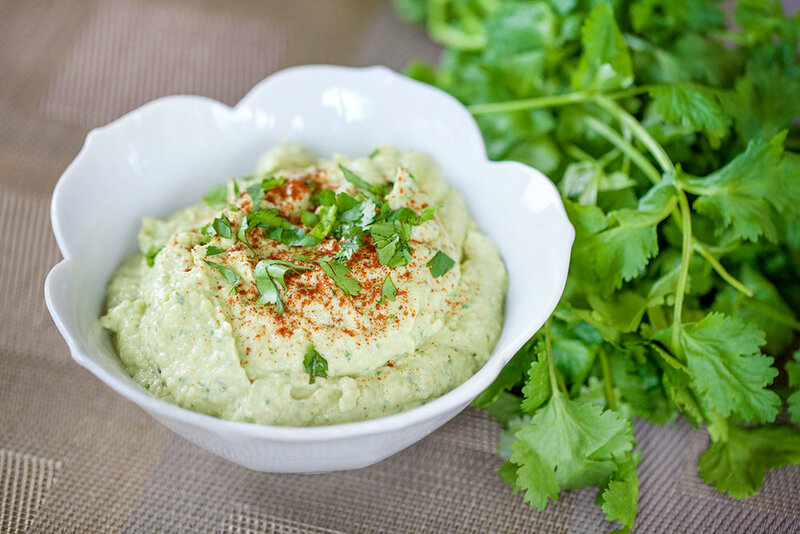 Quick and easy to make, it is a truly indulgent starter for any special occasion. Spread it lavishly on slices of crisp crostini (see the recipe for perfect crostini here) and serve with a glass of chilled Champagne and I think you could literally have your lover eating out of your hand! I specifically chose wild Alaskan smoked salmon for this recipe because by going wild you get a firmer less fatty fish with a natural intense colour. Besides, it just doesn’t seem very loving to feed my man farmed fish that’s been fed on pellets containing antibiotics, growth hormones and artificial colour! To make this seafood pate even more luxurious (and a little less salty) I combined the smoked salmon with some big juicy Canadian cold water prawns. If this little number doesn’t impress your Valentine, I don’t know what will! Cut the salmon and the prawns into small pieces (I used kitchen scissors). Place the salmon and prawns in a blender with the cream cheese, melted butter, cayenne pepper and lemon juice. Pulse the ingredients until mixed together well but not completely smooth - you need to retain a little texture. Taste the pâté and add a little more lemon juice if needed. Spoon the mixture into two small ramekin dishes. Level the surface, cover with cling film and chill for 2 hours. When you’re ready to serve, cut a thin slice from a whole lemon, cut it into two halves (remove any pips) then slice each half from its centre to the rind (don’t cut through the rind) then turn both ends in opposite directions to make a ‘twist’ and place one lemon twist on top of each pâté. Arrange two prawns on each side of the lemon slices (4 prawns per person) and garnish both with a small sprig of flat leaf parsley. Wrapped tightly in cling film, this pâté will keep for for several days stored in a refrigerator. Don’t add any salt as the smoked salmon has enough salt to sufficiently flavour the pâté without. If you don't have time or don't feel confident enough to make crostini, whole red Belgian chicory leaves are a fresh and flavourful accompaniment to the pâté. They're also virtually carb-free and the pale red leaves look very pretty! You could also add some finely chopped fresh chives or dill to this pâté but I much prefer its unadulterated rosy pink colour. For the same reason, I used cayenne pepper rather than freshly ground black pepper because I think black flecks running through the mix would spoil its appearance. These Primal Perfect Shortbread biscuits are wonderful with a cup of tea but when I was making them I transported myself in my mind to a quintessential Best of British afternoon tea party, where they could be rightfully celebrated dolled up with the first strawberries of the season and cream. No doubt this idea will manifest as a future recipe on Primal Plate! For now, they are a simple pleasure to share and enjoy without spiralling into a sugar and starch overload. Classic shortbread contains just three ingredients: flour, white sugar and butter. Grains and refined sugar are both strictly off-limits for low carbers, so I’ve fiddled and diddled around with various ingredients (good quality butter is still compulsory!) and I think that this Primal Perfect Shortbread comes very close to the real thing. True, it is much darker in colour than the pale gold of Scottish shortbread due to the coconut palm sugar (my shortbread is only that pale gold before it goes into the oven!) but at the same time it’s this coconut sugar that gives a slight gritty texture, synonymous with shortbread recipes that suggest adding polenta for extra crunch. Also, coconut sugar combined with my ‘secret’ ingredient Ndali vanilla essence makes for a truly scrumptious butterscotch flavour to this shortbread, which in our house has proven to be quite addictive. You might think, judging by the recipes I’ve posted to date, I have a sweet tooth, which in fact I don’t. What I want to demonstrate is that eating no grains, no refined sugar and low carb foods does not mean missing out. Nor does it mean that if you indulge yourself sensibly, you’re going to get fat or sick. 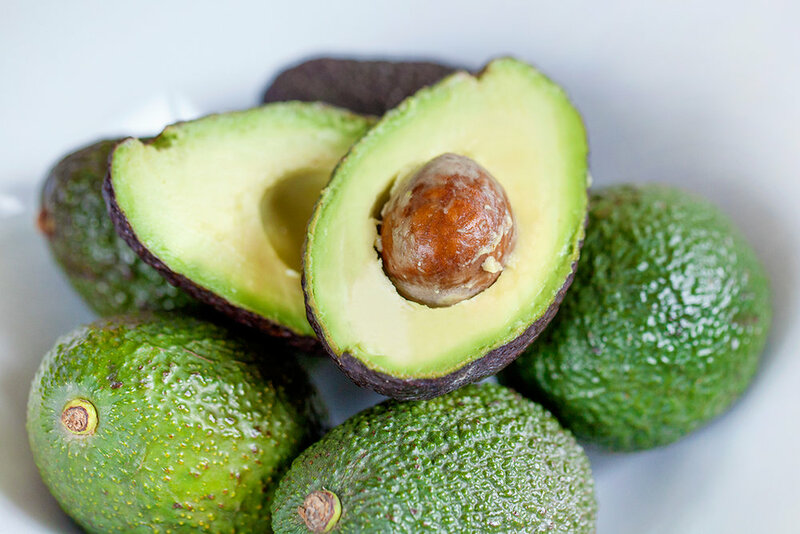 I get a buzz from sharing these delicious, nutritionally sound, low-carb versions of everyone’s favourite foods, knowing that they are the key to effortless weight loss and better health. Equally, I like to confound expectations that something, somehow, must get lost in translation if you’re eating low-carb, relatively high fat food (no hydrogenated/trans fats here please!) and baking without flour and refined sugar! In my view, you can forget about Walkers because nothing comes close to a real-food version of plain home-baked shortbread. Not too naughty, just very, very nice. In a small saucepan, melt the butter over a low heat. In a medium bowl, mix together the ground almonds, coconut sugar, coconut flour, arrowroot and baking powders (and pinch of salt, if using). Make a well in the centre of the dry ingredients and add the melted butter and vanilla essence. Stir thoroughly so everything is mixed together really well. Then using your hand, squash it together into a soft, cohesive dough. Lay a sheet of non-stick baking parchment on top of a baking tray then put the dough directly on top of the paper and pat it down flat. Continue to pat or lightly roll it out until it’s an even 1 cm thick round circle (I use an 8 inch cake tin liner placed under the parchment paper to get the right size and shape and a piece of cling film laid on top to save my hands or the rolling pin getting too greased up) - if the dough splits or tears just press it back together with your fingers but don’t overwork it, the less you handle it, the better. Once it’s the shape you want, use the prongs of a fork to mark the outside edge and score lines across the shortbread so it can be broken into individual biscuits later. Rest the dough by chilling in the fridge for 15 minutes. Put the baking tray in the oven and cook for about an hour. Let it cool completely before serving. These biscuits will be delicious for several days stored in an airtight tin or container, though I suggest you hide the tin if you want them to last that long! I make the coconut sugar a little bit finer for this recipe by grinding it down in a pestle and mortar. If you don't have one of these you could try passing the sugar through a coarse metal sieve instead. I like cheese and biscuits but unfortunately most of the crisp-breads and crackers you can buy are made from grains and therefore totally incompatible with Primal eating. Here is an excellent alternative to starch-based crackers that we actually prefer to anything shop-bought. The starch-free, gluten-free, melt-in-the-mouth almond pastry used for today’s recipe is the brainchild of Jackie Le Tissier, author of Food Combining For Vegetarians. It has become almost legendary in our household. Using ground almonds instead of starch-based flour makes for an almost no-carb pastry that really is a brilliant substitute when making savoury or sweet tarts, canapés and crackers for cheese. There are many variations of nut and seed pastry you can bake using different ground nuts and seeds - walnuts, pecans, poppy, caraway and sunflower seeds are some alternatives. However, this is our favourite ‘combo’. Sarah is a dab hand at making these moreish mouthfuls and, since she espied some smoked salmon and Champagne in my fridge this morning, volunteered to get cooking. There is method in her madness, after photographing them for Primal Plate, she hopes to get to eat some of them later with a customary glass of fizz! It’s Burn’s night tonight, so why not? I’ll happily forego ‘neeps and tatties’ in favour of these traditionally peat-smoked Scottish salmon delicacies. Pre-heat the oven to 190℃ / 375℉. Combine the ground almonds, baking powder and almond essence in a bowl. Mix in the melted butter and diluted milk, stir everything in together with a fork. Bring the mixture together with your hand to achieve a firm but moist dough (the warmth of your hand will help to do this by releasing the oil in the nuts). To stop the pastry from sticking to your work surface or rolling pin, roll out half the dough thinly between two sheets of cling film to 2-3mm thickness. Cut into rounds with a 1½ inch scone cutter and lift carefully onto a non-stick baking sheet. Gather up the offcuts and add them to the rest of the mix. Roll out the remaining dough and repeat as above. Bake the biscuits for 8-12 minutes or until golden and firm in texture. Some of the crackers may be ready before others so remove these first onto a wire cooling rack, then put the rest back into the oven for another minute or two until they are all lightly and evenly browned. Transfer to the wire rack and allow to cool completely. When you are ready to serve the canapés, pipe or spoon about 1 tsp of cream cheese onto each cracker. Divide the smoked salmon into 20 even pieces and top each canapé with a twirl of smoked salmon. For a final flourish garnish with a sprig of fresh dill and a twist of freshly ground black pepper. One of my best childhood memories was foraging for mushrooms with my Dad. Both field mushrooms and my father’s favourite, field blewitts, with their blue-lilac stems that we often found clumped together in ‘fairy rings’, used to be quite common in the pastureland and meadows of yesteryear. However, for me, nothing quite beat the excitement of finding pure white domes of edible goodness peaking out from under dew-laden grass, even if it meant the occasional slug finding it’s way inside my shoe! We even called our family cat “Gilly” because his fur was an unusual pinkish brown - almost the exact colour of the gills of a young mushroom. Chemical spraying and loss of habitat has all but destroyed the opportunity to discover, cook and enjoy the more flavourful wild mushrooms and most people now rely on cultivated mushrooms found on supermarket shelves instead. I suppose there is some compensation for the less than mushroomy flavour of cultivated mushrooms insofar that, alongside the more common white or chestnut varieties, more exotic looking fungi, Oyster, Shitake, Enoki, Crimini, Portabello and Beech Mushrooms, are all readily available too. To add more flavour to sauces and soups, you can reconstitute dried mushrooms by soaking or simmering them in water before adding them to your chosen dish. For Vegetarians, the umami deliciousness of mushrooms can help fill the savoury flavour gap of vegetables and other non-animal based foods. Mushrooms are also officially recognised as a Superfood. Hence I reasoned that the next two Primal Plate recipes should both be for mushrooms on toast! To prepare, don’t peel or soak mushrooms. If you soak mushrooms they absorb the water like a sponge and will then turn mushy when cooked. A quick light rinse under the tap is okay but ideally, if they’re not too grubby, simply cut off the bottoms of the stems and wipe them clean with a damp paper towel. Many herbs work well with earthy flavour of mushrooms but I particularly like the grassy accent of anise (tarragon) and parsley. Tangy Mushroom Crostini is first up. This is an elegant interpretation of mushrooms on toast, suitable for entertaining. Coming soon... Creamy Mushrooms on Toast is more down-to-earth and makes for a relaxed breakfast, light lunch or filling snack at anytime. 225g (2 cups) mushrooms, wiped. I used a selection of chopped chestnut mushrooms and exotic mushrooms, either chopped or hand-teared into individual fronds. Brush the bread slices on both sides with 2 tablespoons of olive oil. Put the slices of on a baking sheet - actually, I prefer to use the wire rack of my oven grill to get lovely looking professional griddle stripes! Bake for 12-15 minutes until golden brown. Allow to cool. Heat the remaining oil together with the butter in a large non-stick frying pan. Cook the mushrooms for 4 minutes over a high heat until golden. Add brandy and cook for a few seconds more. Remove from the heat. Mix the mustard and crème fraiche together and stir into the mushrooms. Season well with salt and pepper.